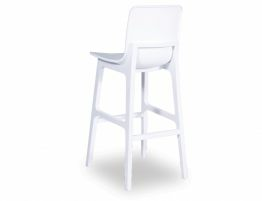 This modern Ara Kitchen Bar Stool offers the perfect seating option for your home, adding a fresh modern look. 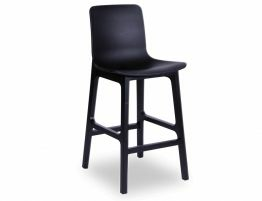 All black stool is our newest addition to the Ara family with it's bold statement. 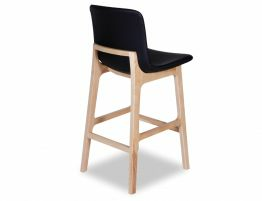 Comfort has not been forgotten with a seat perfectly contoured to natural form being durable and easy to clean, this reformed counter stool proves to be both practical and design worthy. 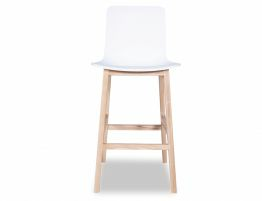 Sturdy enough for children to climb onto, and busy traffic areas, the Ara stool can withstand most lifestyles. 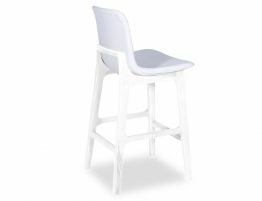 Your bench will become an inviting gathering area in your home. 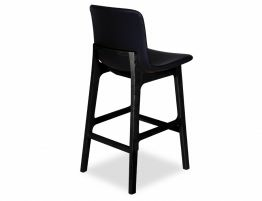 Ara all black is an awesome addition for commercial projects. 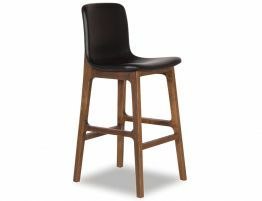 Available in either bench or bar height you will be set with style and comfort that is Ara.